Oh how I love a good pineapple upside down cake. Not only was I craving it, but I had an abundance of peaches on my hands. So, of course, I decided it would be great to make this Peach Pineapple Upside Down Cake that is light, fluffy, moist & packed full of that buttery goodness. I can’t believe I had never thought of this before. 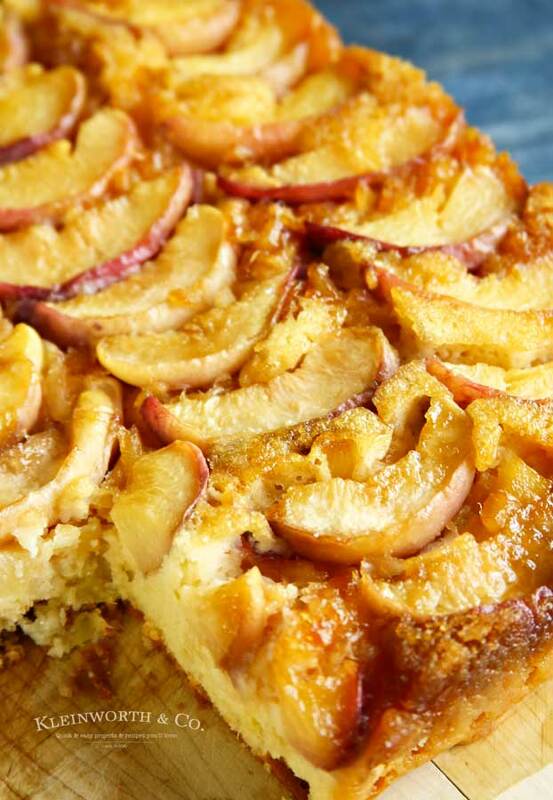 I mean, combining peaches & pineapple was the perfect combination for this cake. 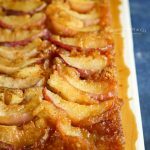 We already love making so many things with peaches during the warmer months & adding them to a pineapple upside down cake was a huge hit with the family. 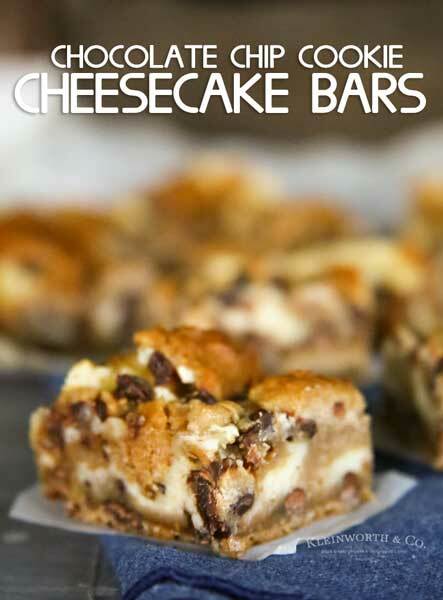 What I love about this recipe is that it is semi-homemade. Meaning that we are taking a box cake mix & using it along with extra steps & ingredients to make something super easy & delicious. 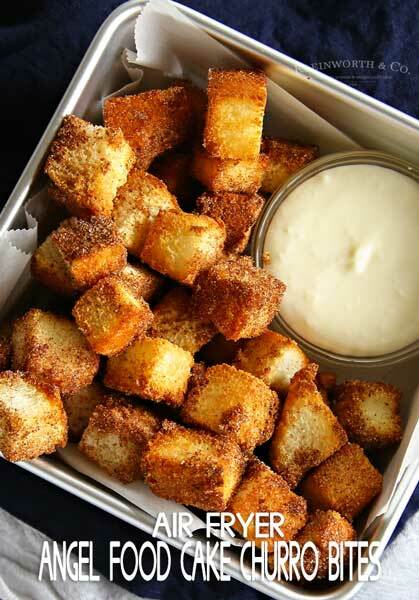 Can I make this recipe without box cake mix? Yes, I suppose you could. I have not personally tried it when including the peaches, which does change the moisture content & how the cake bakes. I can’t tell you if it would change the baking time for this. 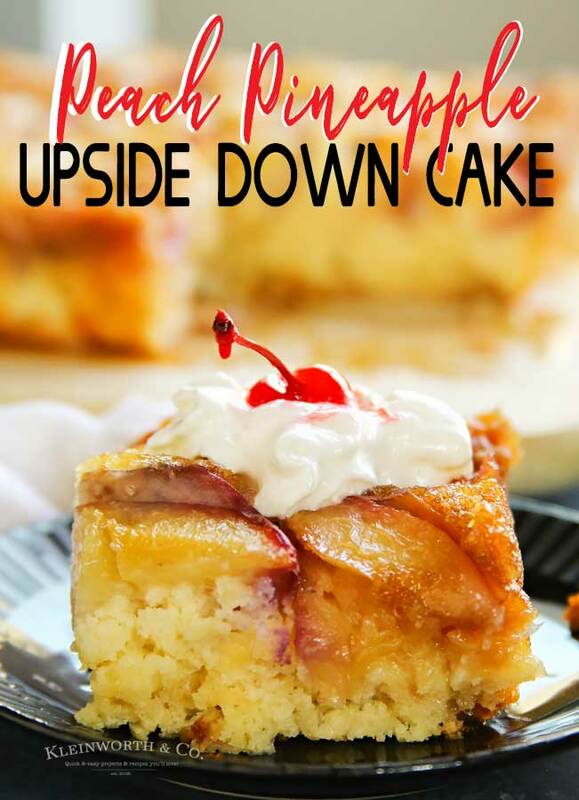 So you can use my original recipe for Pineapple Upside Down Cake – or try your own homemade cake recipe. We kept this cake refrigerated & then reheated it in the microwave when ready to eat. If kept airtight & refrigerated, this cake should keep for 1-2 days after the initial baking day. Ours was gone within 24 hours because people wanted to have it for breakfast. I’m not one to turn down cake – any time of the day – so it went quick. Can I use canned peaches? Yes, you can use canned peaches. It will take approx 2 cans (15-1/2 ounces each) for this recipe. Please be sure to drain & pat the peaches dry on a paper towel before adding to the recipe. 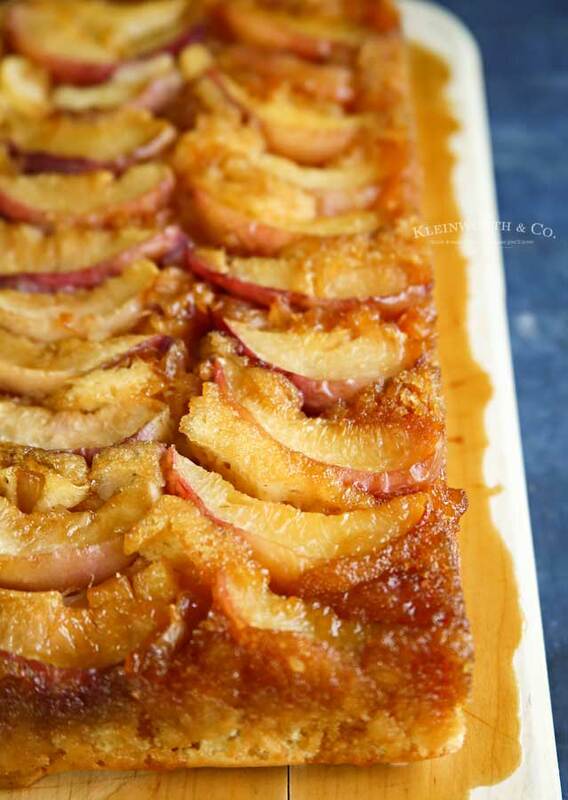 HOW DO YOU MAKE Peach Pineapple Upside Down Cake? 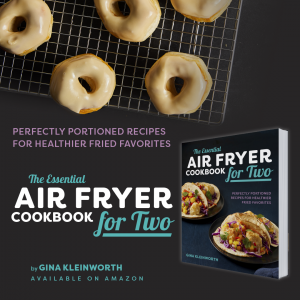 Preheat oven to 350 degrees (or 325 for a dark or non-stick pan). 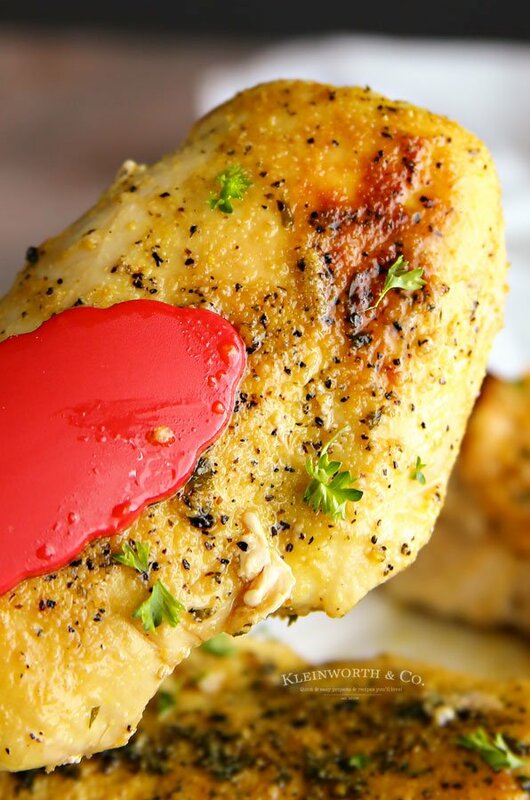 Melt butter in the bottom of a 9×13 pan by placing in the warm oven for a couple of minutes. Remove the pan from the oven & sprinkle in the brown sugar over the melted butter. Place peach slices in your desired pattern in the bottom of the pan. Top with drained pineapple. – Reserve the juice. Add water to reserved pineapple juice to measure 3/4 cup. Combine cake mix, juice mixture, oil & eggs in a large mixing bowl – mix on low 30 seconds. Increase speed to medium & beat for 2 minutes. Pour batter over the peaches & pineapple in the prepared baking dish & spread evenly. Bake 45-55 minutes or until toothpick test comes out clean & the top is golden brown. Remove from oven & immediately run a knife around the outer edges of the pan to loosen the cake. 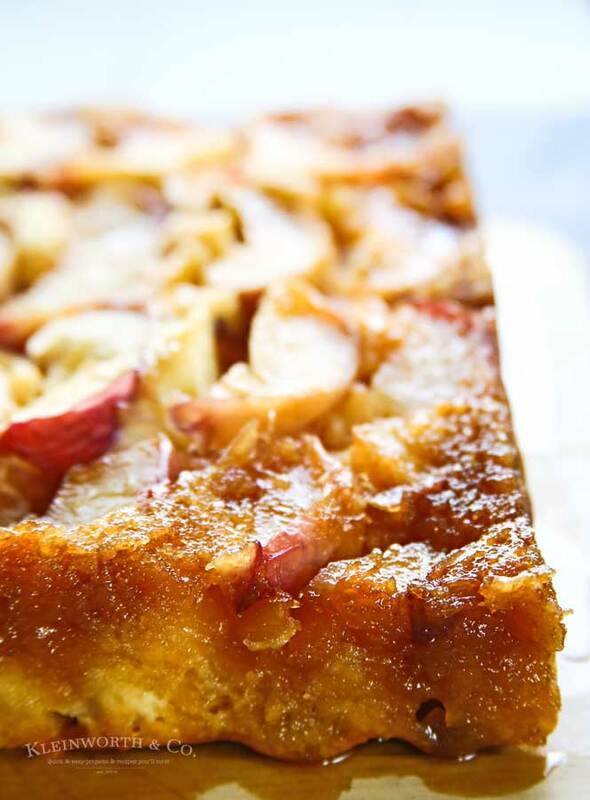 Place a serving plate or cutting board upside down on top of the pan & then invert the pan & plate to release the cake. Leave the pan over the cake for 1-2 minutes to allow all the toppings to drizzle back onto the cake. Keep covered & refrigerated until ready to enjoy. Do I leave the skins on the fresh peaches? Yes, you can leave the skins on. This does not change the recipe. But you are more than welcome to peel them if you prefer. 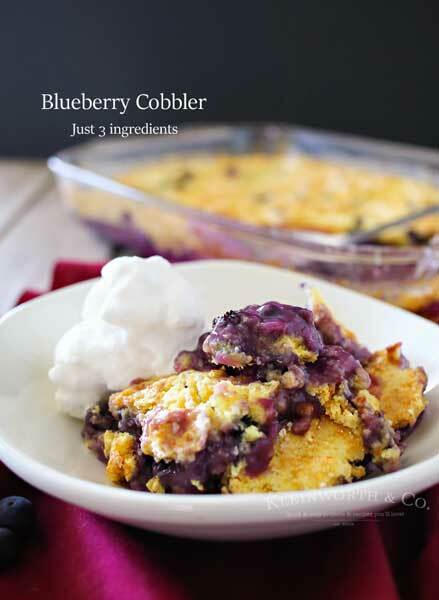 This is a great way to use up an abundance of peaches from the season. 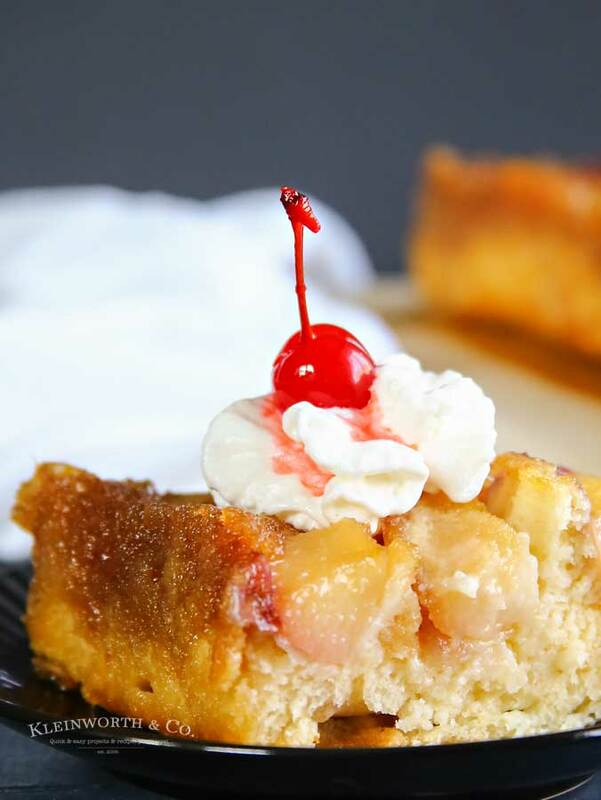 Peach Pineapple Upside Down Cake is a delicious twist on the classic pineapple dessert. Moist cake with a sweet, caramelized outer layer is a favorite. Top with drained pineapple. - Reserve the juice.